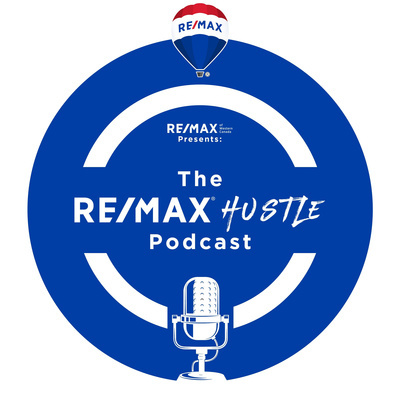 RE/MAX of Western Canada's official podcast, featuring knowledge and expertise from our talented network. Rhonda Navratil (RE/MAX River City, Edmonton, AB) sold with RE/MAX in Winnipeg from 1987 to 2001 before moving to Edmonton. Since then, she has focused in on Geo Farming, and has become the dominant REALTOR® in the neighbourhood where she lives. Using the slogan, "She Sells Summerside," Rhonda has built a multi-layered marketing approach, which has proven to be very successful. She is a RE/MAX Chairman's Club award winner. There are currently more than 120,000 Sales Associates globally in the RE/MAX network. Sixty-eight of those active individuals have earned the title of Luminary of Distinction. The most coveted RE/MAX career award recognizes agents who have earned over $20 million during a RE/MAX career of at least 20 years. Big John Peterson of RE/MAX Realty Professionals in Calgary, Alberta, is one of those 68, and has built a career around consistent results for his clients. Since 1991, real estate has been Tony Joe's (RE/MAX Camosun Oak Bay) main focus. He is team leader of the Prime Real Estate Team and is known as an innovator in the field for leading the way in technology, community involvement and customer experience. Tony is past president of the Victoria Real Estate Board, host of The Whole Home Show on CFAX 1070 and chairs numerous other committees. Léo Bruneau of RE/MAX All Points Realty in Coquitlam, BC, was born and raised in the French neighbourhood of Maillardville. Léo had strong family and community values instilled at a very young age. As a result of his involvement in the community, he has received many awards, including the Queen’s 2012 Diamond Jubilee Medal and the Children’s Miracle Network Volunteer Award for raising more than $100,000. Travis Hawryluk (RE/MAX Real Estate Edmonton) was raised just outside Spruce Grove, Alberta, and grew up in a real estate family. His dad, Roger, helped him gain a quick understanding of the business and since then, Travis has consistently improved his skillset and elevated his production levels. Taylor Hack (RE/MAX River City, Edmonton AB) joined RE/MAX in 2013 and it only took him three years to go from real estate newbie to top 5% of the Greater Edmonton Area marketplace. He’s been featured as a Young Gun by Real Estate Professional Magazine and recently his team, Hack & Co, hit the milestone of 500 homes sold since 2013. Ted Cawkwell (RE/MAX Saskatoon) began his working career early in life on a family grain farm near Nut Mountain, Saskatchewan. From owning a grain farming operation at age 23 to building one of the world’s most remote and luxurious fly-in fishing resorts in 2004, Ted has had a diverse and layered career. About seven-and-a-half years ago, Ted joined RE/MAX and has quickly risen to diamond club status. He is one of our top commercial agents in Western Canada. Tamara Stone is a lifelong resident of Kelowna, B.C. She grew up in a real estate family and became licensed in 1995. Today, Tamara and her sister, Shannon, lead the Stone Sisters Group, which has been a RE/MAX Diamond Club Team over the past few years. RE/MAX of Western Canada Executive Vice President Elton Ash reflects on his 35 years with the RE/MAX organization. He explains why RE/MAX affiliates are often quick to share their knowledge with the network and speaks about some of the disruption currently happening in our industry.